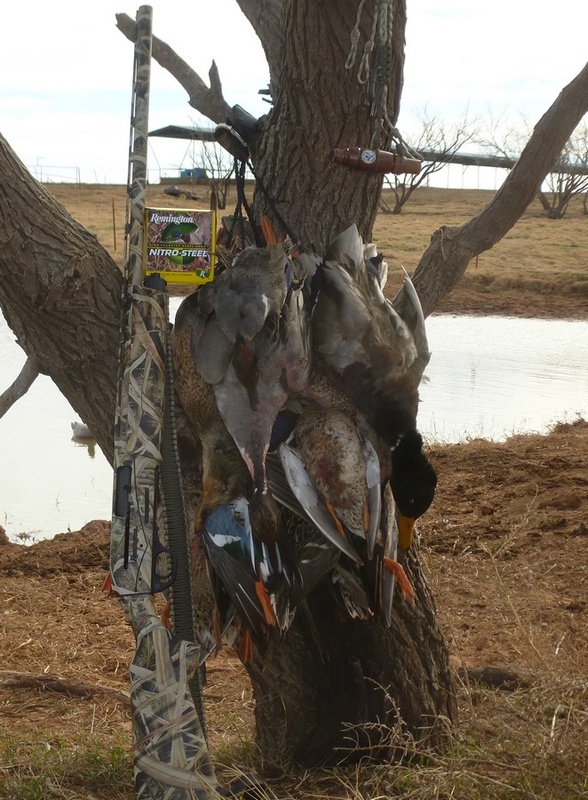 What is a waterfowl gun? No one really knows and fewer agree. 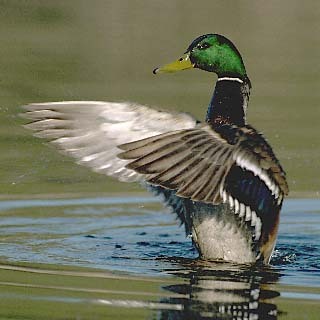 Waterfowl hunting is bird hunting, after all, and not all waterfowl are shot over water. A goodly portion of geese are taken over dry land. Waterfowl hunting, sometimes referred to as “waterbird hunting” in some countries, hardly defines the size of the birds or the range. Teal, for example, while terrific fliers, are relatively small and fragile birds. Back in the day, as least my earlier days, hunting along the Iroquois river with my Dad and Grandfather, the standard duck load and the standard pheasant load were the same thing. The guns were the same as well: 28 inch barreled Automatic-Fives with modified chokes. In the case of my Great-Grandfather, it wasn't much different: he used Remington Model 11 with a modified fixed choke. “Versatility is its middle name,” claimed Browning advertisements from 1963: http://www.randywakeman.com/OnTheWaterfowlShotgun.htm . Well, the Wakeman's don't quite see it that way: we don't love to pump in the duck blind. But, walnut and blued steel shotguns were all that were used, from the days of Great-Grandpa (many without pesky things called hunting seasons or bag limits) to later years with high-volume Argentina hunts (Brazilian teal, Rosey-Bills) and high volume snow goose, black duck, and teal hunts in Canada . . . walnut and blued barrels worked perfectly. Sure, some hunts have been freezing rain and high winds, but surely not all waterfowl hunting is radically cold or radically wet: perhaps yours is, or indeed not. Perhaps some of you remember the Tom Roster videos discussing and promoting steel? If you do, you might remember that he used a blued / walnut Remington 3200 O/U. Regardless of the marketing terms used, polymer is plastic and camo or Cerakote is paint. Technopolymer burns just like plastic, because it is thermoplastic, and clear-coat and Cerakote is sprayed on like paint because it is paint. Cerakote is good paint, thick paint, heat-cured paint, and ceramic blended paint: but, it remains paint. I don't mind camo or plastic, but if you are hunting from a blind it doesn't matter all that much and if ducks didn't have good hearing, duck calls wouldn't work. Nevertheless, camo is now its own industry, and cheap plastic stocks should make shotguns a lot cheaper as well, though it hasn't worked out exactly that way. It might sound a bit simplistic, but a reasonable shell with a reasonable choke pointed in the right direction kills ducks at reasonable ranges. What is called “steel” is soft iron: a low density pellet that, while good for dentists, is equally adept at creating wounding losses. If you want cleaner kills and wish to regain the traditional ranges of lead, you just can't use steel. Bismuth isn't lead, but it clearly closes the gap inflicted by steel shot mandates. While the Browning Automatic-Five was anything but cheap in its day, it was and is readily apparent where the cost of manufacture came from. Though the cost of manufacture of several autoloaders is little different from a pump gun, the asking prices have sometimes soared into crazy-land. The most obnoxious offender of them all is the Benelli “Performance Shop SBE 3 – Waterfowl”: starting price, $3199 says Benelli. P. T. Barnum would be proud; perhaps Bernie Madoff would be as well. Apparently, Benelli doesn't know how to cut a forcing cone, so they have Rob Roberts do it for them on this model. Naturally, when you recut a forcing cone on a Benelli you machine out the factory chrome plating. Adding insult to injury, your overpriced Benelli is now more prone to rust as well. Apparently, the “Crio” system doesn't work at all, so you get non cryogenically-treated choke tubes with this model as well. Fortunately, today you have a lot of options. If you want to go with Bruce Buck's favored Remington 870 slide-action, there are thirty-one models to choose from. An 870 Express black synthetic sells for $350 at many of the big box retailers, and the more frugal among us can wait for sales and rebates. That gets you dropping ducks for less than a grand, to be sure, in fact you can buy three of them for about that figure. 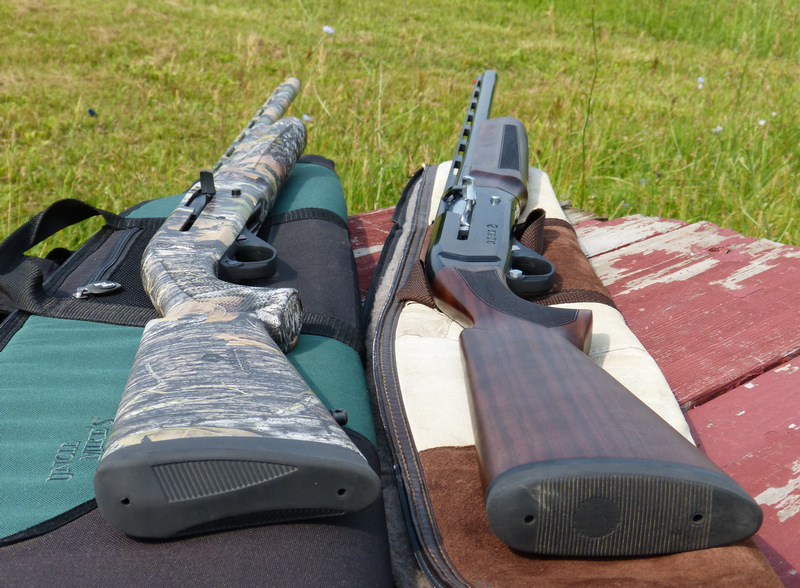 I do try to test and evaluate at least two examples of a shotgun, whether they are trendy, popular, or not so much. Of the many inertia -action clones, the Girsan MC312 did particularly well. Though sold primarily by Bud's, it is has been perpetually sold-out, and now seems to essentially gone from the scene. At roughly $500, it was a surprisingly well-made inertia gun. The synthetic model was a bit softer-shooting than the walnut. The Weatherby Element Waterfowler, made by ATA, also did well. The lackluster concave recoil pad is not easy to replace, the trigger pull was excessively heavy, and the dinky safety didn't (and doesn't) help matters. It is a standard Bruno Civolani actioned shotgun. The Mossberg 930 Pro-Series Waterfowler is gas-operated and soft-shooting. It is a heavy 3 inch gas gun, it lacks oversized controls, lacks a premium recoil pad, and the tang safety on an autoloader isn't my preference. Though not what I can call an exquisitely refined shotgun and a little too heavy and bulky compared to others, it is hard not to call the Mossberg 930 an excellent value from America's oldest family-owned and operated firearms company, now celebrating their first 100 years. Retay Arms, of Konya, Turkey, hasn't just tried to copy the Bruno Civolani action: they dramatically improved it in several ways in their Masai Mara shotgun. The frustrating 'Benelli Click' has been eliminated, the loading is easier than on many inertia guns, the trigger guard is both quick-release and machined alloy, not plastic. Pricing runs from $799 on up, depending on configuration. The latest model for 2019 is a 3-1/2 inch Waterfowler that adds speed unloading of the tubular magazine integrated with the oversized bolt release. 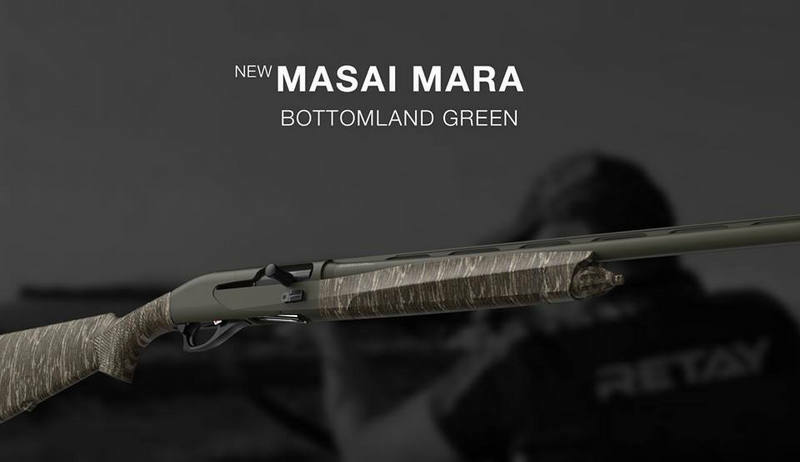 This new 3-1/2 inch Masai Mara is one of the softest-shooting inertia guns I've ever shot. The basic Remington V3 has always been a good duck gun, ($650 - $700 street price) but now with the new V3 Waterfowl Pro model, you get an extremely easy loading newly profiled reciever, enhanced safety, included stock shims, a more generous charging handle, and a Cerakote receiver and barrel. Street price is expected to be right under the thousand dollar mark, with full distribution expected by late May, 2019. One of these models from five different brands is certain to please you. Two of these value leaders are Made in the USA (three if you count the Remington Express pump) and the rest are made in Turkey. The best warranties of the bunch are the written lifetime warranty from Remington, followed by the 5 year warranty from Retay USA which is handled by Briley. While you can certainly spend far more than a thousand dollars for a waterfowl gun, all of these models show that you certainly don't need to. Copyright 2019 by Randy Wakeman. All Rights Reserved.